Whilst there are hundreds of artists and makers from around the world whose work I enjoy and admire, every once in a while, I stumble upon an artist whose work deeply resonates with me. 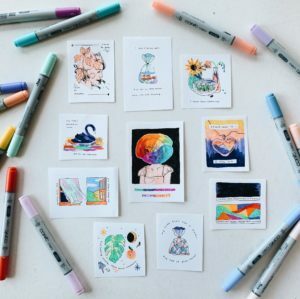 When I first came across Angelyn’s work, I was scrolling on Instagram, probably spending too much time on the Explore page, If I’m being honest. I loved her paintings and drawings and kept scrolling as far down on her account as I could. A few days later, I wanted to go back and look again, but I’d forgotten her username. So, as one does, I scrolled through my entire “following” list until I found it, and I made sure to make a mental note of her account’s name so I could go back again and again. It’s been almost two years since then, I’d say, and I continue to be deeply moved and inspired by Angelyn’s intricate, delicate and undoubtedly beautiful work. 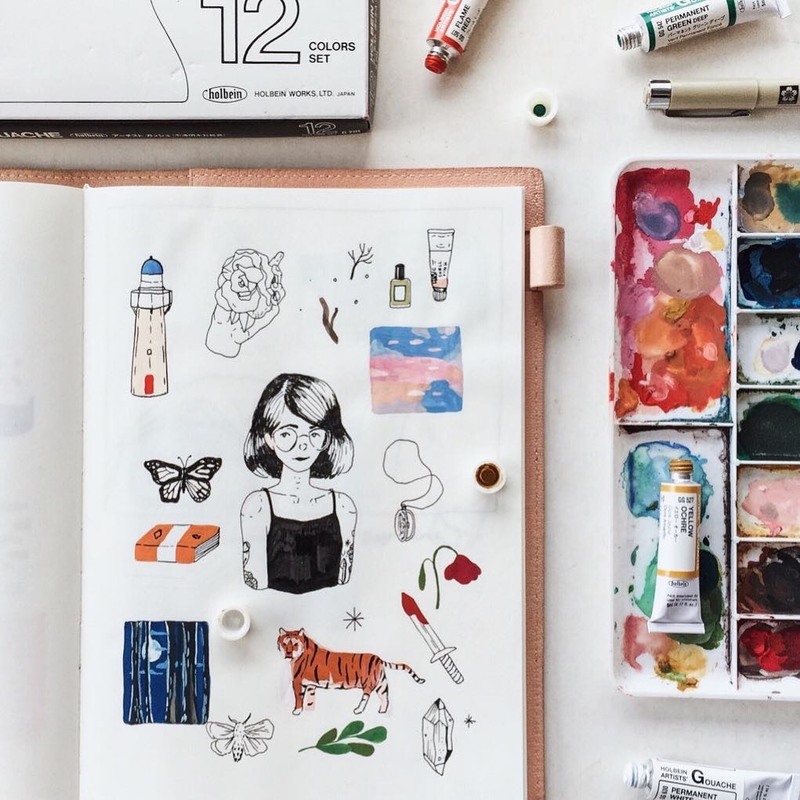 Angelyn is from Kuala Lumpur and her life-long mission is to “illustrate the intangible”. Mostly through other stories, like books and movies. Nature too, and definitely songs. Beautiful places. Many of your pieces take on themes like anxiety and other mental health issues. 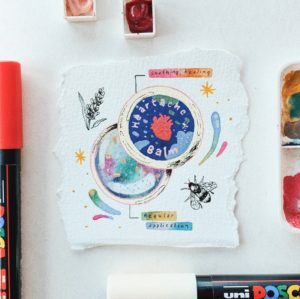 Do you find that making art is an important way of working through these kinds of things, and raising awareness about them? Yes – although it happened a little backwards. I had no intention of speaking out previously as the idea was quite painful. Over time I began to realise that art was my preferred way of processing my experiences, and even then for a long time I found it hard to get these things out onto the paper because I had a fixed idea of what my art should be like and this was crossing a clearly defined line into “absolutely not” territory. So it was a lot of gradual acceptance, that it was okay (even necessary) to speak out about the issues we face, and that I had a strong method of communication if I let myself use it. 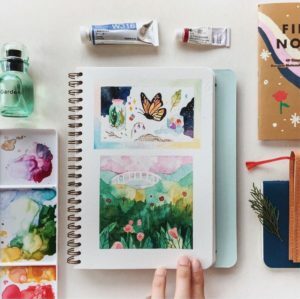 What made you gravitate towards watercolours? My muse Pauline Baynes who illustrated the Narnia series – one look at her work and I knew I wanted to be just like her. Also, Beatrix Potter! What advice would you give anyone who wants to pursue creative work? Be kind to yourself. That means understanding that your process and output may be different from others, taking the time to learn about yourself, and following through on the things you want to make. Give yourself a try. Be sure to check Angelyn out on the socials too.